" have created a stimulating, accessible, secure learning environment. 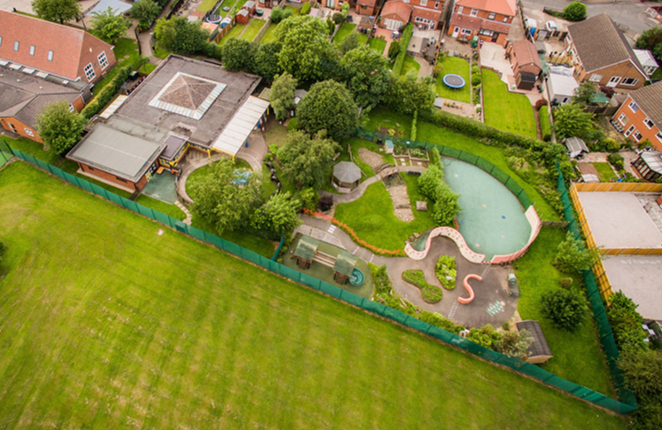 Each area of the well-resourced Nursery provides children with opportunities to explore, investigate and make links with previous learning"
We know from Parent View (an Ofsted survey online tool) that 100% of parents who answered the survey would recommend our school to another family. This is a very powerful compliment and one that we do not take lightly. Every day we aim to ensure that the provision here is meeting the needs of all our children and that ensuring everybody is safe and able to progress are our main priorities. Come and have a look around and see for yourself our amazing school. Here is Moira, our School Business Manager! in the main entrance to our nursery.